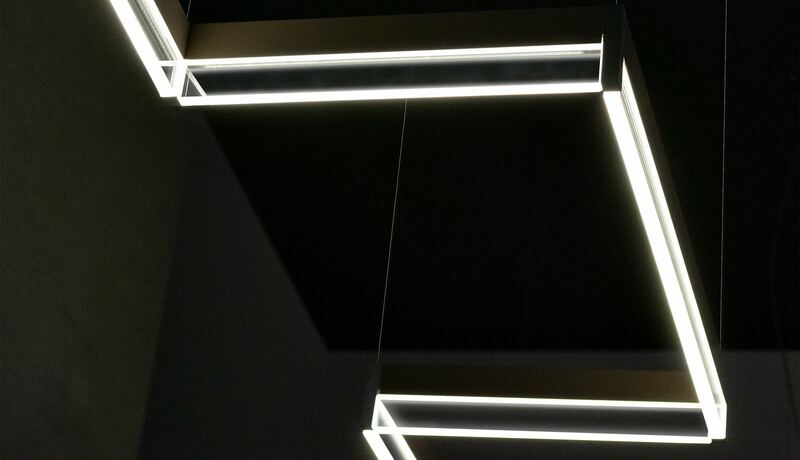 Signs and drawings made of light. 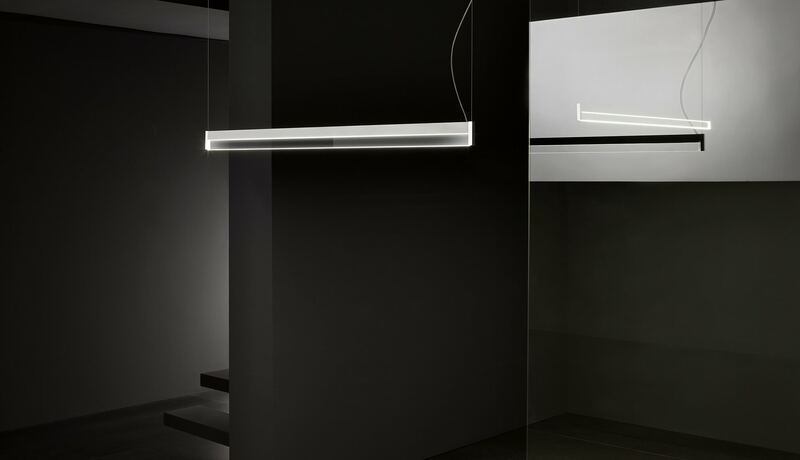 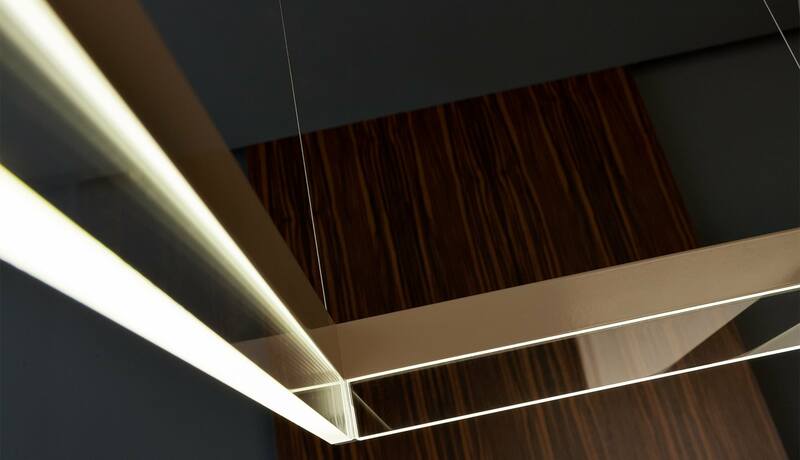 The linear LED light-source is the soul of this range: quality of light, minimal size and modularity. 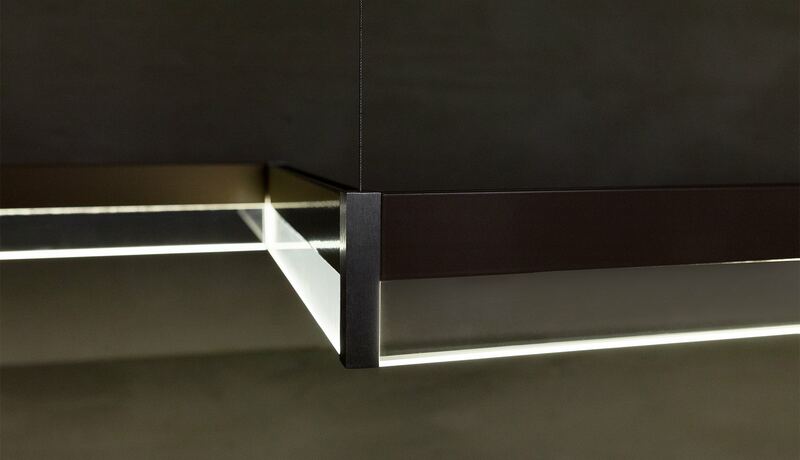 The extruded aluminium profile which contains the light-source is both a decorative and a structural element. 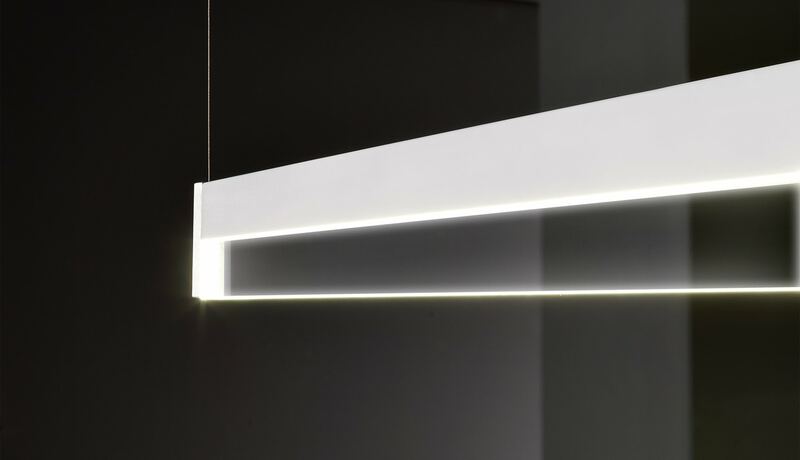 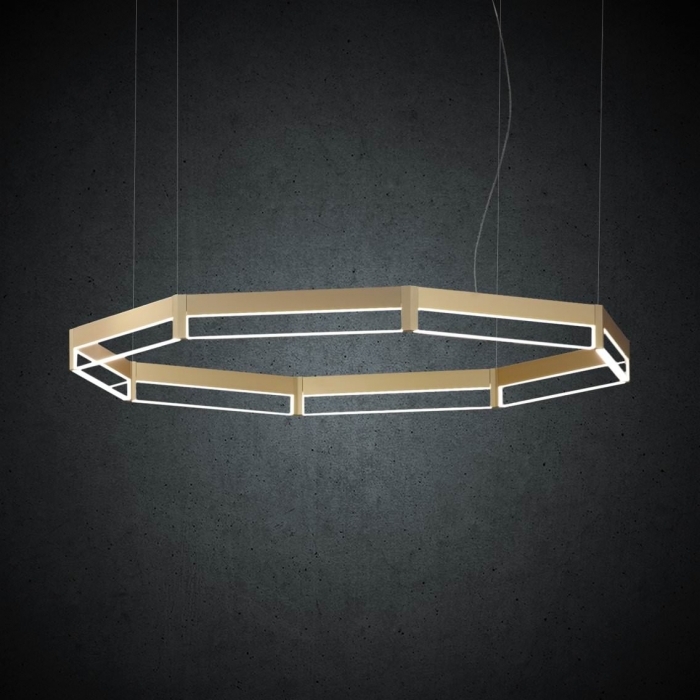 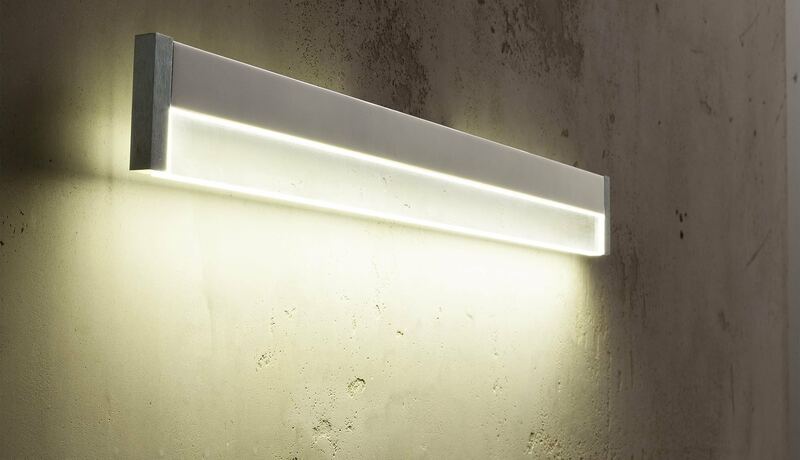 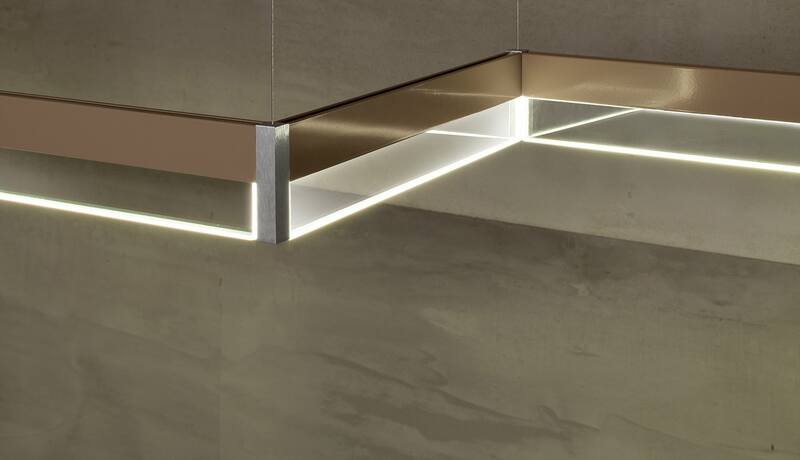 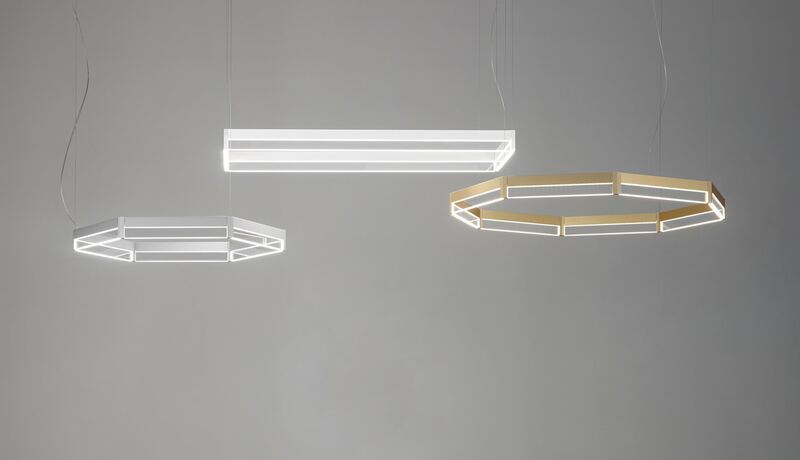 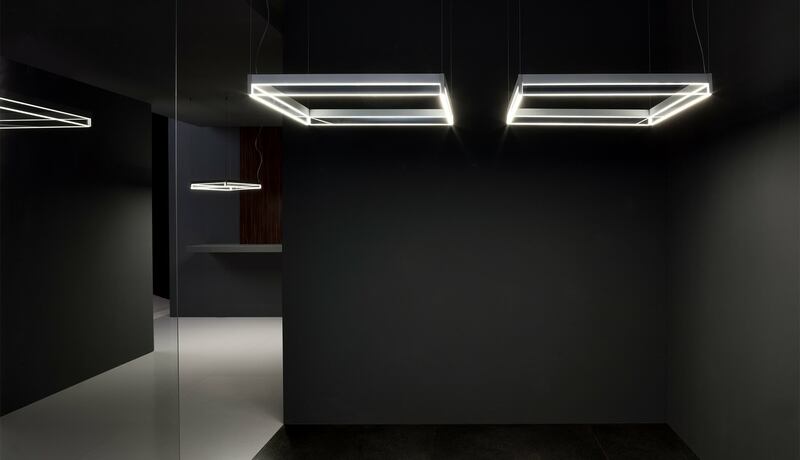 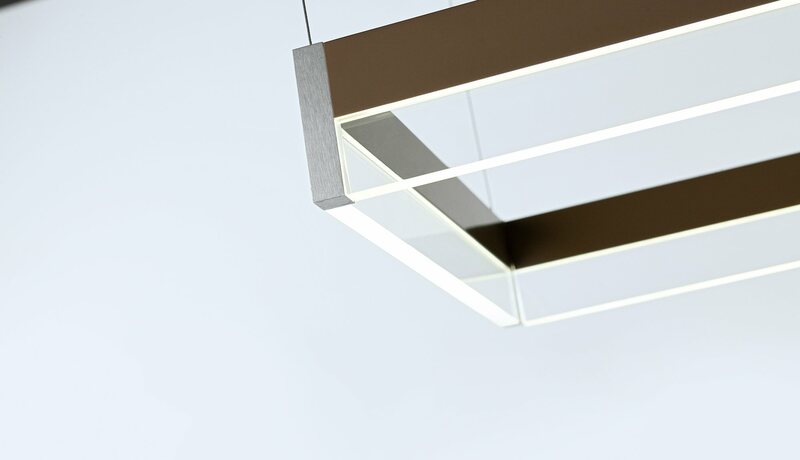 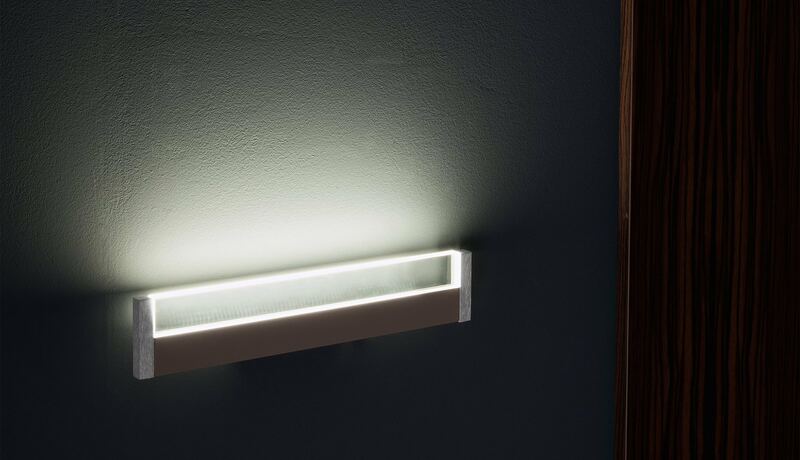 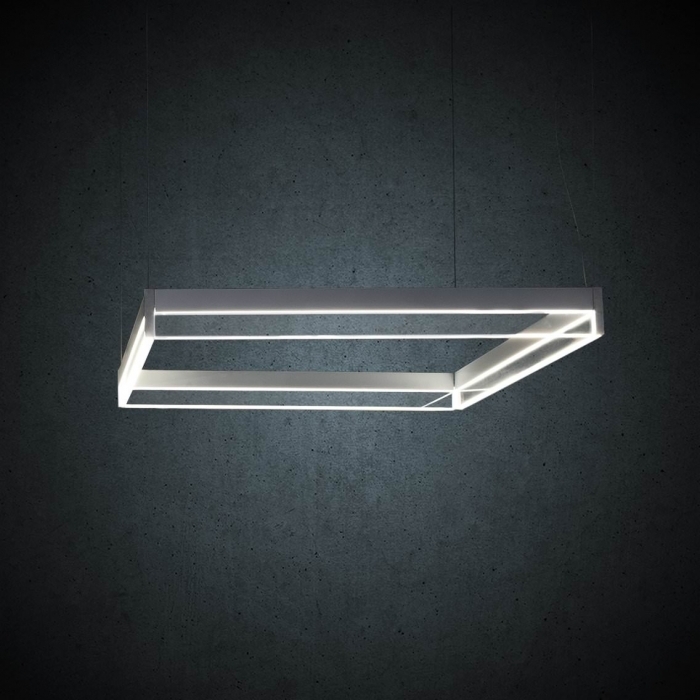 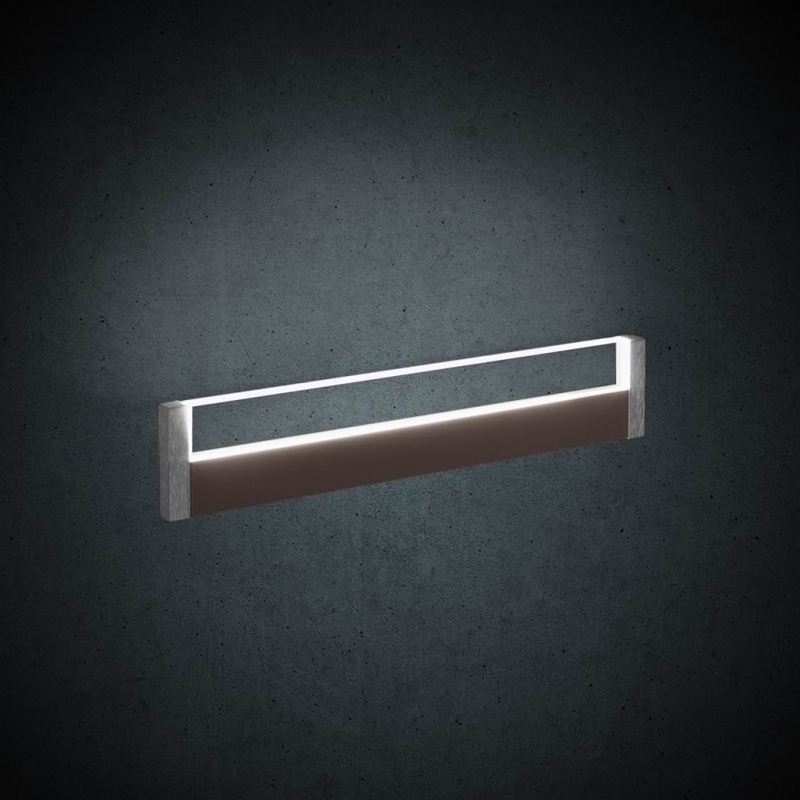 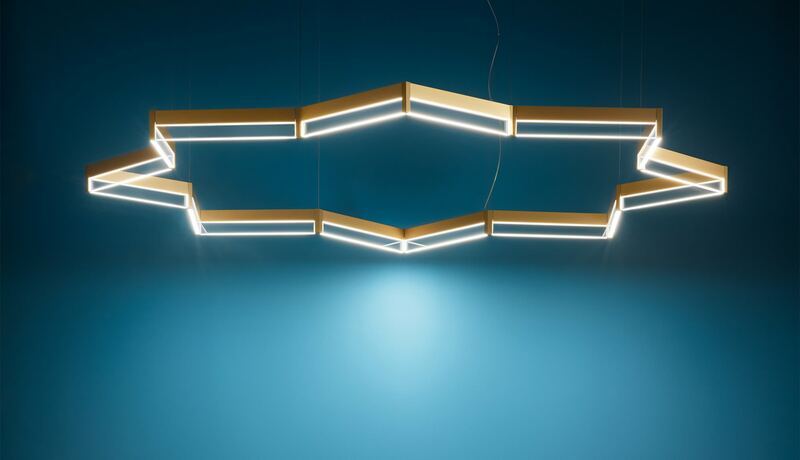 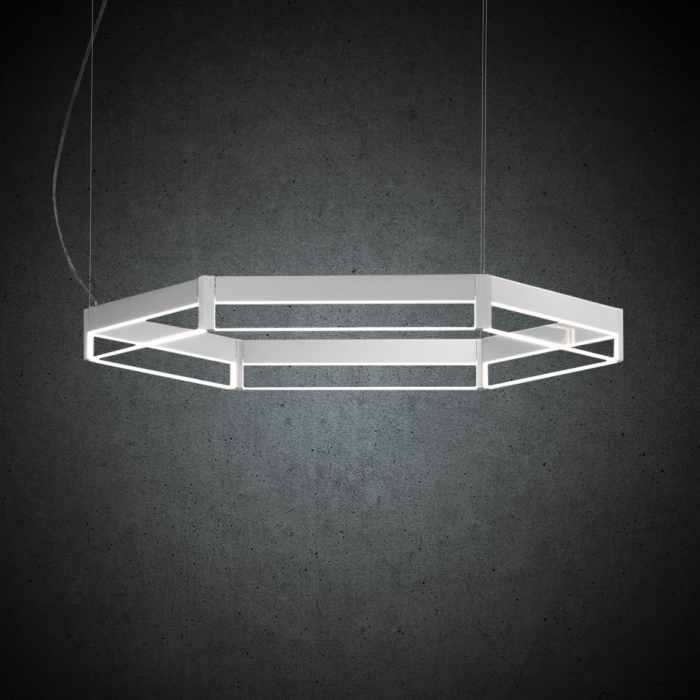 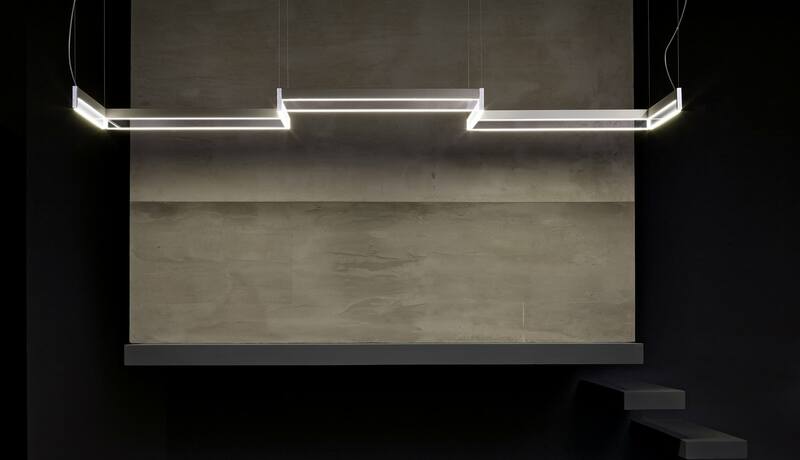 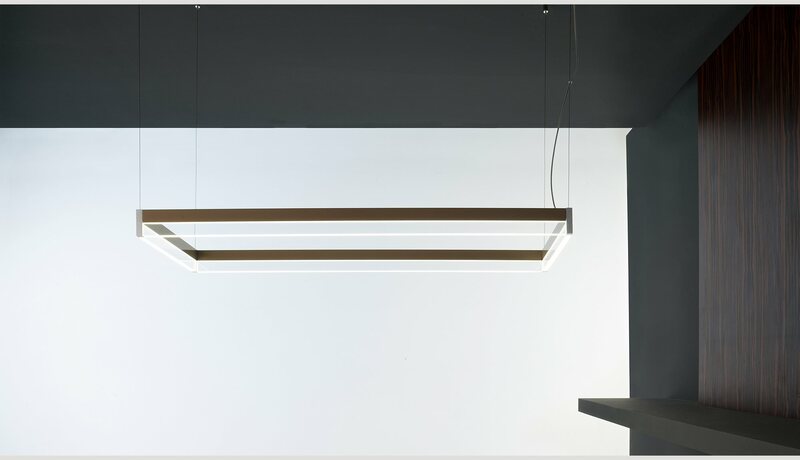 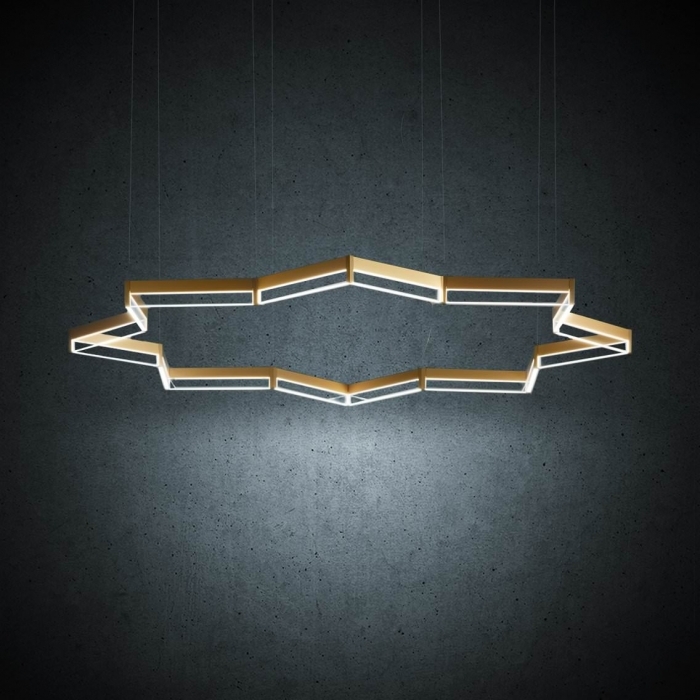 The light is filtered by an opal PMMA profile that illuminates the underside of the fixture, giving the impression that the light beam is levitating. 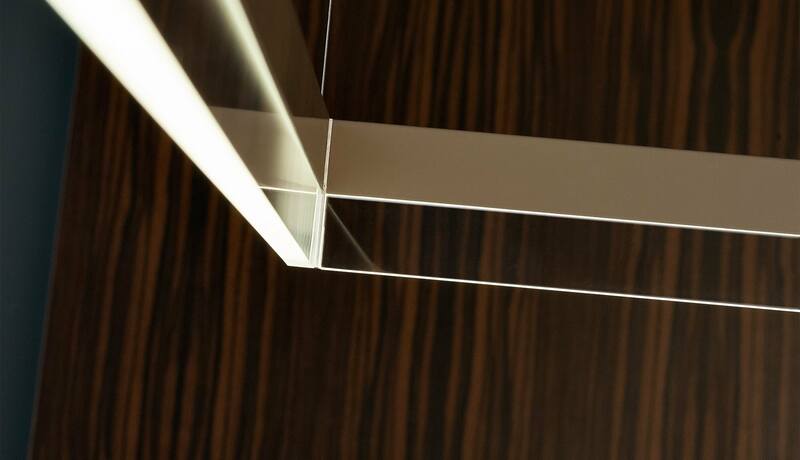 The different lengths of profile and the flexibility of the joining blocks make this range modular and easy to personalize. 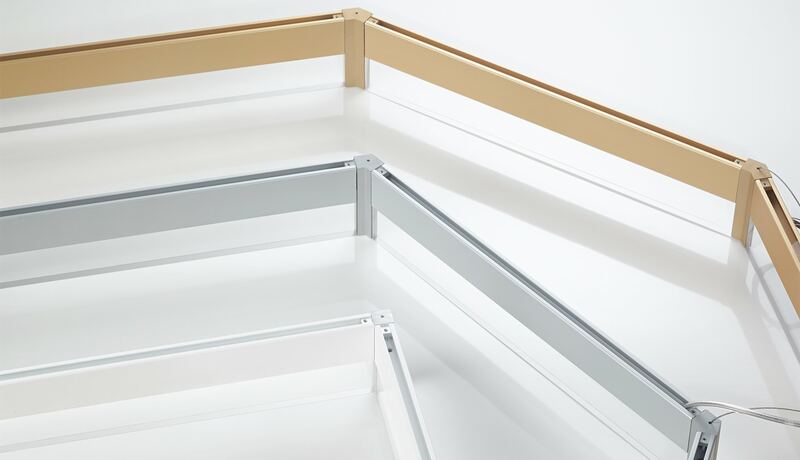 The FRAME collection is expanded through new corner elements with a 120° e 135° angle. 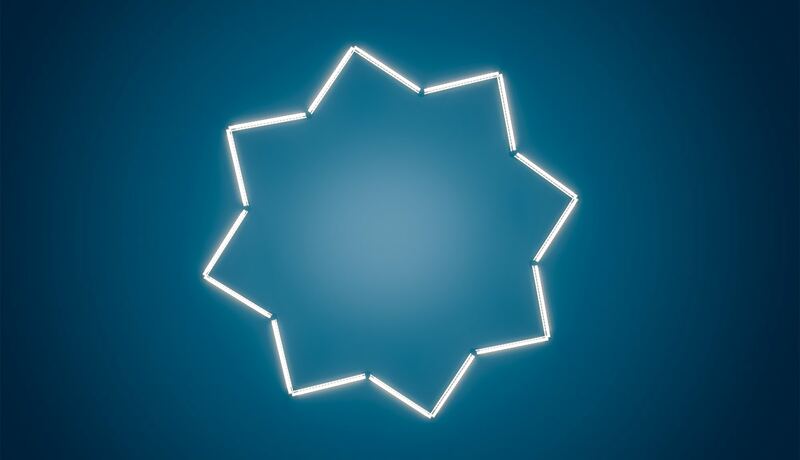 This allows you to created hexagonal and octagonal shapes plus many others. 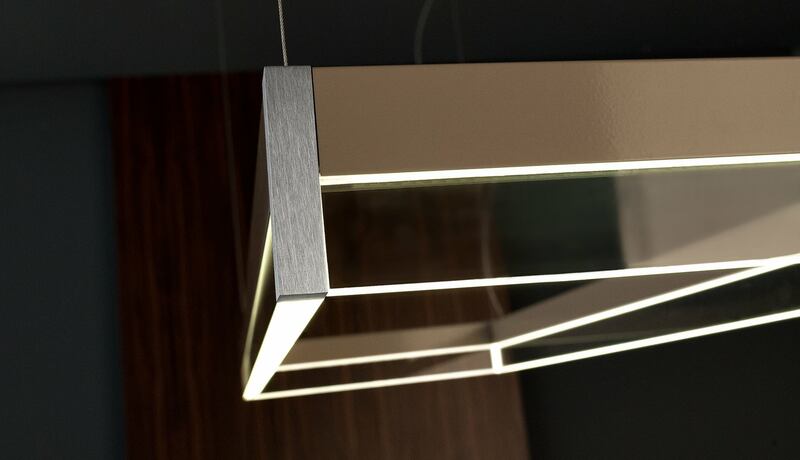 Two new finishes: aluminium anodized gold or aluminium anodized natural. 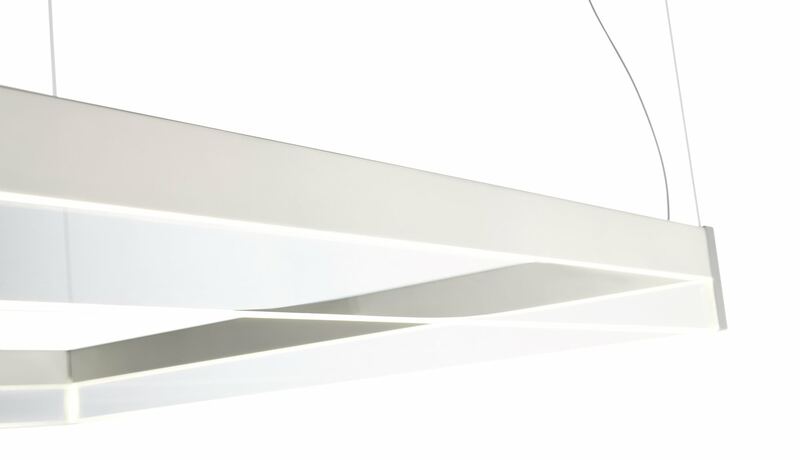 White ceiling canopy.